Return of the king-NABEL new strategy publishing meeting and domestic distributor meeting was held in Shanghai. 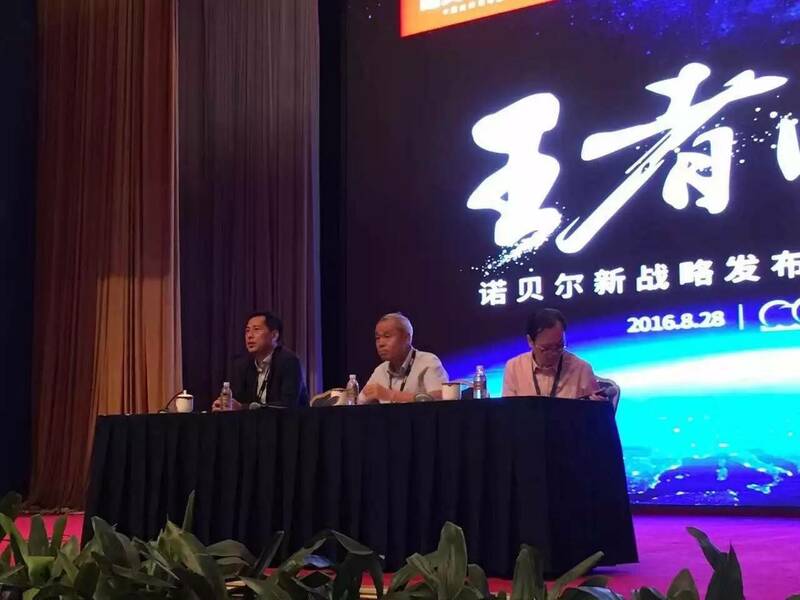 Return of the king-NABEL new strategy news conference meeting and domestic distributor summit meeting was held in Shanghai international conference center on 28th August. 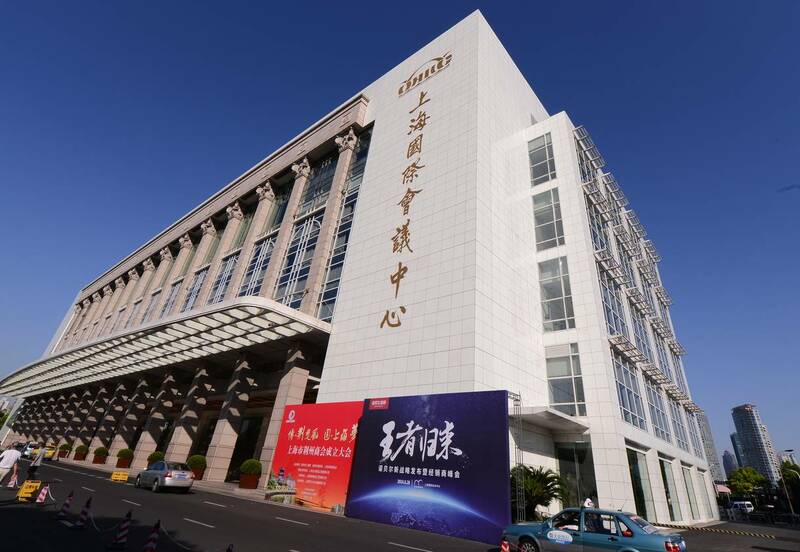 More than 500 persons (who are from Headquarters of NABEL Group、domestic branch companies and their local co-operative distributors、the long term strategic co-operative partner- Trout(China) strategic positioning consulting firm) participated this meeting. The summit meeting which is under the subject of new strategy of NABEL GROUP carried out the training of strategic orientation, and systematically introduced the NABEL strategic plan. 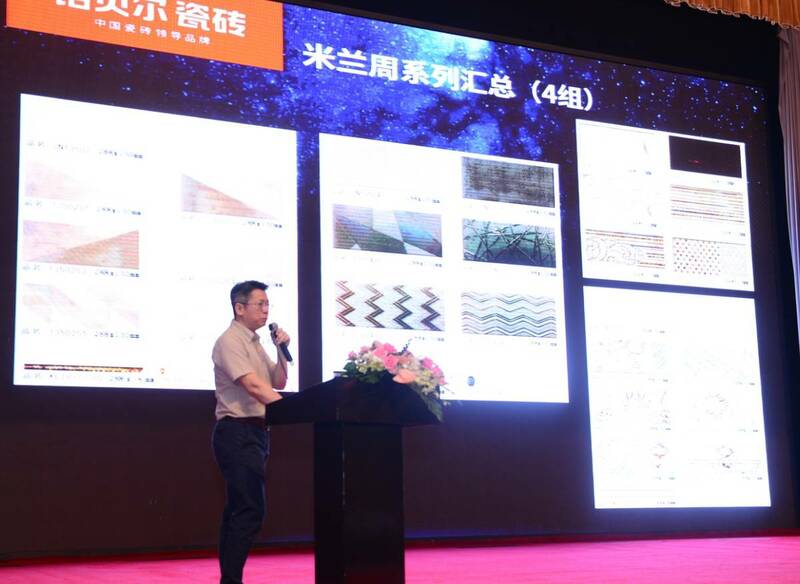 After continual five years’ hard researching work, NABEL officially promoted the global new generation of ceramic tile-SIMM MARBL on 28th July. The new innovative achievement, like the sword grinded by five years, NABEL bring this new innovative and artful /beautiful SIMM MARBLE to the market, to the worldwide customers. At the same time, NABEL also launched a vigorous brand upgrading and strategic position adjustment. 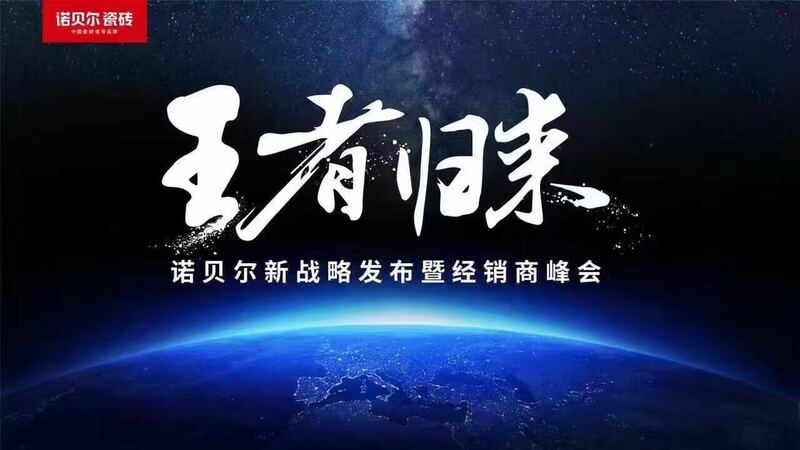 We spent a lot of time and energy to advertise our products via O2O channel, not only promoted the SIMM MARBLE to the customers, but also bring the industry’s attention to our strategic positioning adjustment. The purpose of this summit meeting is to enhance NABEL internal team and the external distributor’s confidence as well as their better understanding for strategic transformation.”Return of the king”-the subject of the summit meeting stand for NABEL’s determination and confidence to become ceramic industry’s leader. The top level leader from NABEL explained and introduced the enterprise new strategy in the afternoon. Firstly the marketing vice president from NABEL Group Mr. Song Hangxiang had the introduction about the way of new strategy orientation. We promoted our SIMM MARBLE, mainly focusing on the high end customer or project, leaving far away from the price-oriented , turning to the value added from price. He also introduced the full channel integrated marketing strategy was launched in the whole group within several short months, presenting the determination to carry out it thoroughly. 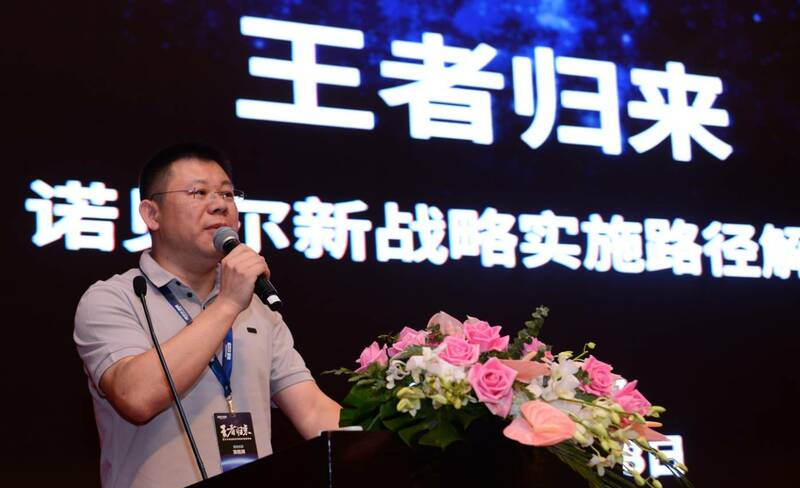 And then, Vice president from R/D department Mr. Yu Aimin explained in detail about the characteristic、production、researching, strengthen the understanding about the product itself, and cancelled all doubts for this new product category. While the vice president of R/D department Mr. Simon explained the future researching direction for NABEL & CESAN series. 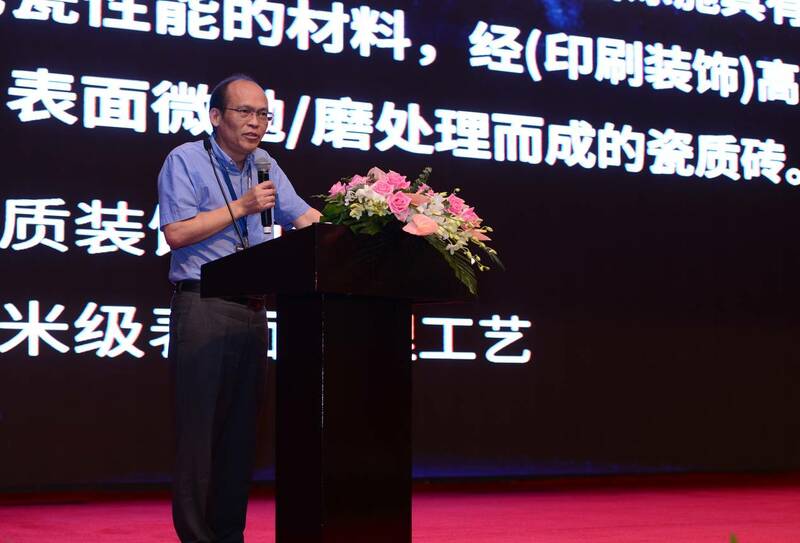 At the end of this summit meeting, Chairman of the board Mr. Luo Shuigen from NABEL Group, Vice president Mr. Shen Jianfa from NABEL group, and The general manager Mr. Deng Delong from Trout(China) strategic positioning consulting firm, delivered their speeches. 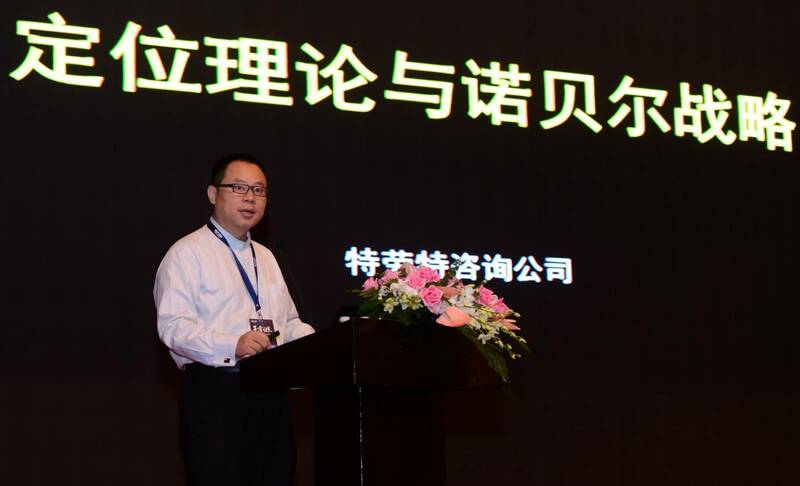 Mr. Deng Delong stated the initial purpose of cooperation between NABEL and Trout and the concept of the new strategy. 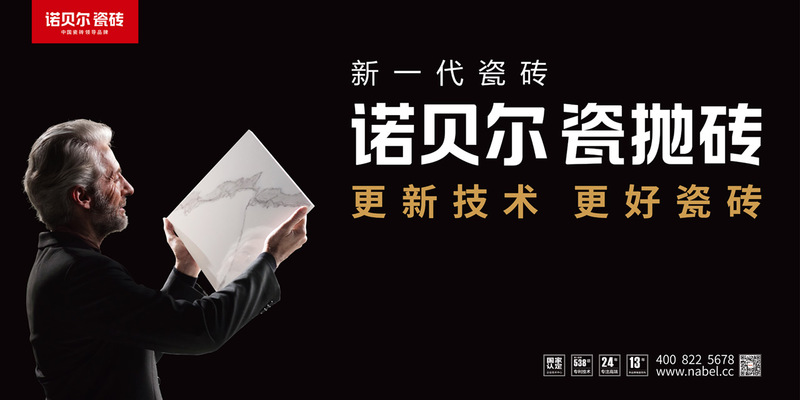 He reiterated the strategic target which to make NABEL SIMM MARBLE become the first brand in the ceramic tile industry, and the success of this new strategy will be guaranteed by the professional way of Trout and this also further enhanced distributor’s confidence Mr. Luo Shuigen reviewed NABEL brand history, listed NABEL’s advantage, and pointed out that this strategic orientation is the second pioneering for NABEL, and this is a big business chance for the domestic distributors. NABEL Group will work with the distributors together to build the brand, achieve great achievement, encouraging greatly the distributors in this summit meeting. Till this time, NABEL’s new strategic debut and distributor summit meeting has come to a successful conclusion. Looking back to the splendid past, looking forward the bright tomorrow, NABEL SIMM MARBLE will continue to carry on the operation concept of market strategy re “ Quality , development, service, value”, and constantly break into the new technology, strengthen the strategic plan , together with the domestic distributors, creating the first brand of China ceramic tile.